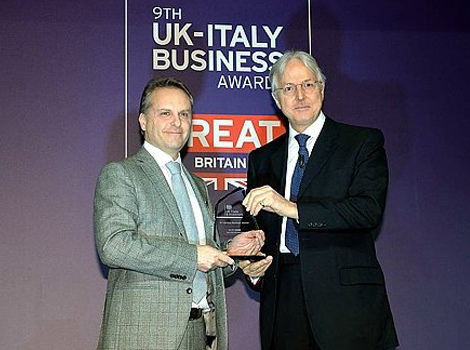 During the 9TH UK-ITALY BUSINESS AWARDS at Palazzo Mezzanotte (Milan), Raccortubi Group received the ELITE AWARD for excellence and entrepreneurship in its field. Hosted by Borsa Italiana, Italy’s main stock exchange, Raccortubi Group was awarded the prize thanks to its recent expansion in the United Kingdom, with the establishment of Raccortubi UK near London in July 2015 and the acquisition of Norsk Alloys in Aberdeen (Scotland), now Raccortubi Norsk, in October 2015. By extending its local presence and distribution network to the United Kingdom, Raccortubi has managed to enhance its efficiency in terms of cutting times and costs for customers in the region. Whilst Raccortubi Norsk concentrates on the stockholding and distribution of pipes, fittings and flanges in stainless steel and special alloys, Raccortubi UK focuses on providing EPC contractors, fabricators and blue chip companies with a dedicated service for the complex order management and project handling of piping materials. Both Raccortubi Norsk and Raccortubi UK are supported by Group headquarters and integrated production mills in Italy in the composition of package orders. With additional stock material and on-demand manufacturing at their disposal, they can ensure that requests are fulfilled quickly and effectively.